Boston bolstered its lineup with midseason trades for the veteran forwards. BOSTON — Charlie Coyle and Marcus Johansson could be sitting at home right now, waiting for next season. Instead, they are eagerly awaiting their next shift, in the Stanley Cup playoffs. Coyle and Johansson started the season with teams that ultimately failed to qualify for the NHL playoffs. 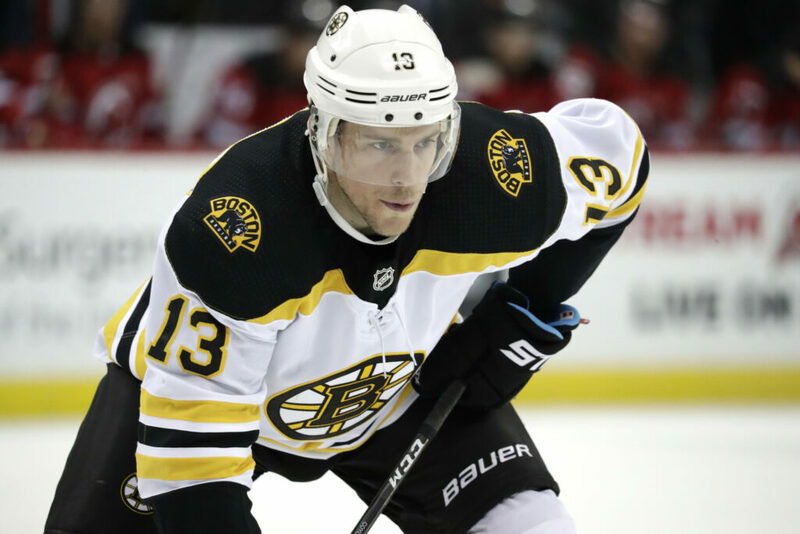 Each was traded to the Boston Bruins, and it looks like they’ll be linemates when the Bruins open their best-of-seven, first-round series against the Toronto Maple Leafs on Thursday night at TD Garden. Coyle, who was nearing the end of his seventh season with the Minnesota Wild, just had the experience of facing his former team, which had been mathematically eliminated from playoff contention before the Bruins arrived for last Thursday’s game. The Bruins, meanwhile, had nailed down second place in the Atlantic Division and first-round home ice against the Leafs two nights earlier. “It was weird, talking to (former teammates),” said Coyle, who was traded to the Bruins on Feb. 20 for Ryan Donato. “It was a weird thing just to leave a team halfway through the year. In a way, you wish you could finish off what you started with them, but that’s the business. The trade to the Bruins assured Coyle of reaching the postseason for the seventh time in as many seasons. Johansson, meanwhile, avoided missing out when the New Jersey Devils, one of the first teams to fall from playoff contention this season, traded him to the Bruins for draft picks in 2019 (second round) and 2020 (fourth) on Feb. 25. The eight-year NHL veteran has made it to the postseason for the seventh time, missing only in 2014, with the Washington Capitals. Johansson, hurt in just his fourth game as No. 2 center David Krejci’s right wing, missed 10 games – long enough for first-year pro Karson Kuhlman to convince the coaching staff he can play with Krejci and left wing Jake DeBrusk, at least to start the first round. While Coyle’s production (two goals, six points) over 21 games has been modest, he picked up four points in his last eight games, and gives the Bruins someone they won’t hesitate to use against any of the Leafs’ top three centers – John Tavares, Auston Matthews or Nazem Kadri.